Teesside’s new lifestyle magazine is set to launch at the end of April – and this is your last call to promote your business to exclusive Teesside addresses. Middlesbrough-based Resolution Media & Publishing, publishers of Tees Business, is on schedule to launch Tees Life at the end of the month after winning the support of several local businesses for its exciting first issue. The Build Directory, Mill Volvo Stockton, Middlesbrough Council, Mandale Group, Vintage Chartered Financial Planners, Chadwick’s Inn Maltby, Cafe Lilli in Norton, The Bay Horse in Hurworth, Redcar-based First Choice Labels and Teesside High School have already booked space in the launch edition. The deadline to book space is 5pm this Friday (April 7) – call 01642 450255 or email info@resolutionpublishing.co.uk to ask for more details and a Media Pack. Prices start at just £145 + VAT. Tees Life is Teesside’s new lifestyle magazine for everyone who enjoys life on Teesside. A glossy high-end magazine with an initial 15,000 readership, Tees Life is delivered FREE to homes, pubs, restaurants, hotels and salons across Teesside including Wynyard, Eaglescliﬀe, Yarm, Ingleby Barwick, Wolviston, Hartburn, Nunthorpe, Marton and Guisborough. Co-editor and Resolution director Dave Allan said: “Tees Life will be Teesside’s only true lifestyle magazine dedicated to this area. “There is a multitude of Teesside publications out there which might class themselves as lifestyle magazines that in reality are ad-mags, with virtually no readable content. “As Tees Business proves, we pride ourselves on quality control and we like to make our publications to be very readable, packed full of high-quality features, not just full of ads. “Tees Life will be brimming full of brilliant Teesside content, the sort of magazine you’ll want to keep on the coffee table, on display for visitors to read. Like Tees Business, Tees Life will be A4 size, printed on full colour, high-quality print. It features content covering food and drink, fashion, homes and interiors, motoring and sport, health and beauty, people and places. 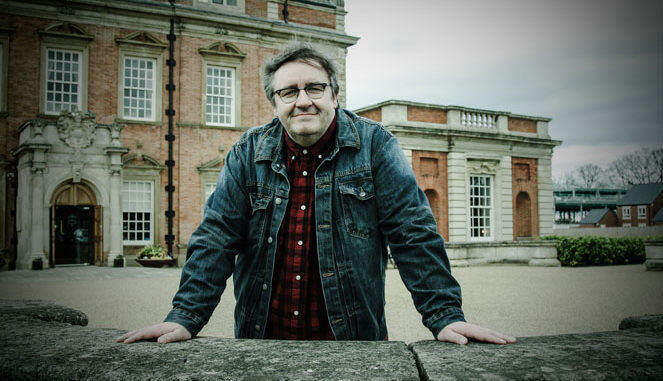 Each issue our professional writers interview a leading Teesside personality as our cover feature – with Teesside-born actor Mark Benton (pictured above) the star interview in the first issue. Tees Life’s in-house specialists can work with you on your content for no additional charge, including writing, pictures and design. Call 01642 450255 or email info@resolutionpublishing.co.uk to ask for more details.